I studied expressionism and took the exam. I got a 7. Not too happy about that, but could be worse. Some writing assignments came back with good marks, which means I finished 'Schrijfpracticum 2'. And I wrote an essay and started preparing for some study meetings in november on philosophy and art history. I took care of poes Poes while Roeland was travelling again. Pancakes with Bram. Stamppot with Wilma, Fred and Maarten. And parsnip. Parsnips are much easier to come by these days than they were when I was re-introduced to them in 2007. But still, fall is the best time to get your hands on them. Bram and I visited the Mauritshuis, to see their exhibition on self portraits. Afterwards we had dinner at tandoori restaurant Ramna, yum! Hot chocolate for dessert at Starbucks. Bob, Bram and I visited the viking market at the ruins of Teylingen. Lots of vikings. Stalls. Music. And stories from Donderelf. Afterwards, we had a nice dinner at 'Moeders eethuis'. Ikea is pretty busy on a Sunday. And maybe it's not the best idea to make the trip and buy quite a lot to haul home if they're working on the train tracks so you have to travel part of the way by coach. Bram and I saw 'Inside Out'. Robin hosted a 'Back to the future' marathon that we attended. Comedy is usually not my cup of tea, but this is youth sentiment and cult with some SF added to the mix. Dinner with Roeland, Bram and former neighbour M.. We had a nice evening at Roel's place. Bram participated in a 3D competition at his archery club. Foam animals were placed around the field. Some were partly hidden in the bushes, some had to be shot at from afar, some from a shorter distance, some from the top of a watch tower. There were all sorts of different challenges for the archers. I attended to cheer Bram on. He hit a foam hare right on the nose. Literally. It was a crisp, sunny afternoon. I had brought my SLR camera and enjoyed playing with it. Afterwards, there was a BBQ. Bram and I saw 'The Witches'. Roald Dahl was one of my favorite authors, growing up. I must have read the book at least ten times and I'm quite sure I had seen the movie before. But I didn't remember all of it, even though much came back to me during the movie. Maarten and I saw 'The Martian' at the cinema. My expectations were low and it was kinda okay. Geralde and I visited Museum Boijmans to see the 'Van Bosch tot Bruegel'-exhibition. Afterwards we hung out at KFC. We hadn't seen each other since this spring so we had a lot of catching up to do! It was Leiden International Film Festival. Roeland and I went to see '$9.99' at the cinema. I liked it, awkward as the movie is. 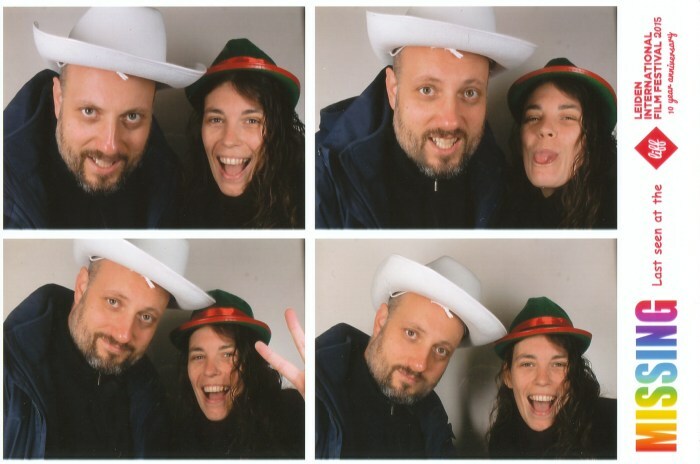 Trianon had a photo booth in the lobby, free of charge, on the occasion of the film festival! The month ended with a visit to a halloween party. I can now hounestly say I had a date with Death, and survived ;-) It was at the archery club and people had done a really cool job decorating, making special halloween-themed marks for the archery competition, and dressing themselves up.